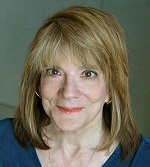 Professor Elizabeth Loftus has won the international 2016 John Maddox Prize for courage in promoting science and evidence on a matter of public interest, despite facing difficulty and hostility in doing so. The John Maddox Prize, now in its fifth year, is a joint initiative of Nature, the Kohn Foundation and Sense and Science charity. This Prize was set up by Sir John Maddox, who was editor of Nature for 22 years and a founding trustee of Sense about Science and who was close friends with Ralph Kohn. Professor Loftus is a cognitive psychologist at the University of California; her field of expertise is in human memory. Her most famous work is on the 'misinformation effect' which demonstrates eyewitness accounts can be altered after being exposed to incorrect information about the event. Loftus conducted experiments that showed exposure to inaccurate information and leading questions could corrupt eyewitness testimonies. She also demonstrated how therapy and hypnosis could plant completely false childhood memories in patients with depression, eating disorders etc. These findings led her to become expert witness or consultant for hundreds of court cases. Due to these appearances, Loftus has come under sustained attack from therapists, patients and family members. Nevertheless she continued with her research and continued to raise awareness of the misinformation effect.